Handy 24 LED worklight with easy push on/off button. Fitted with a useful hanging hook and a strong magnet on the back for hands free use. 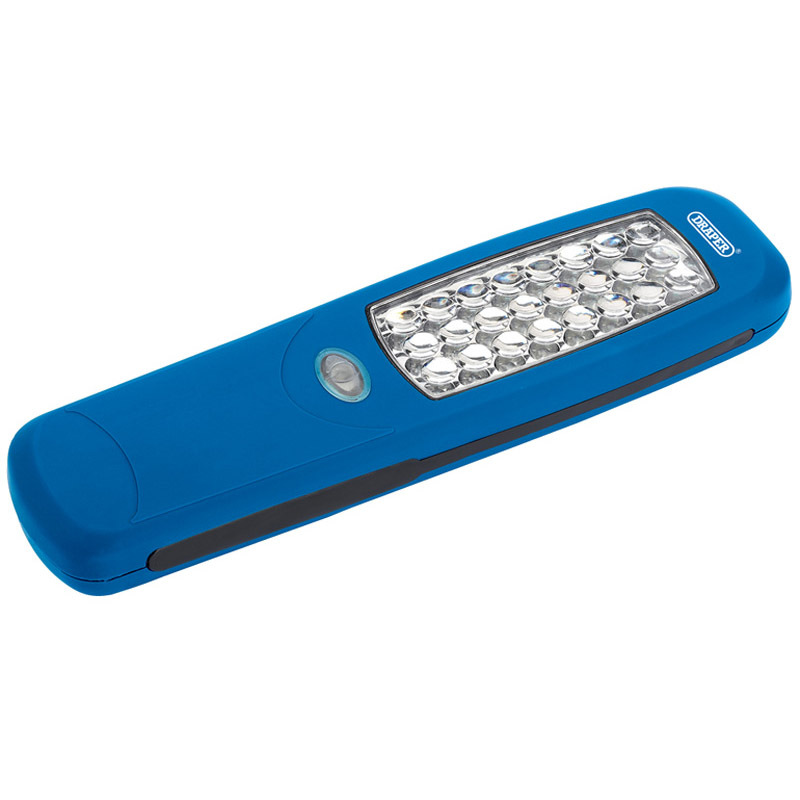 The worklight produces a strong 50 lumens of light. Supplied with and uses three AA batteries.